A basic understanding of the core branches of psychology, including learning, development, cognitive, sensation and perception, emotion, motivation, biological bases of behavior, abnormal behavior and the evolution of behavior. Knowledge in selected specialized areas of the discipline. Embry-Riddle Aeronautical University (ERAU) is a non-profit private university with residential campuses in Daytona Beach, Florida and Prescott, Arizona, as well as a Worldwide Campus (which is offered online). The Worldwide Campus was initially designed for working civilians and deployed military personnel. The various degree’s in Human Factors prepares students for the applied research skills industry as well as government and academic labs. The Bachelor of Science in Industrial Psychology and Safety offers students a foundation in safety that prepares them for any industrial setting and allows them to select an Aviation Safety or Occupational Safety and Health area of concentration. The Bachelor of Arts or Science in Psychology is a degree program designed to arm students with the critical thinking, communication and the theories of psychology to begin an exciting career. Excelsior is considered one of the countries leaders in online and adult education. This online psychology degree program helps busy working adults progress their education and strengthen their careers possibilities. The convenient online class structure is designed to fit within the busy schedule and tight budget most adults have to earn their college degree. Students enrolled in the Psychology Major program may work toward either a Bachelor of Arts or a Bachelor of Science degree, depending upon the choice of elective credits completed. The major requirements for both degree plans are the same. The Department offers the guidance of advisors who can outline which option would be the best fit for each student. Students pursuing a psychology degree at Fayetteville State have the opportunity for psychology training at both the undergraduate and the graduate level. There are a small number of credits that must be earned on campus of through transfer of credits. The goal of the online degree program is to “enhance the options available to students who would like to pursue the Bachelor of Science Degree in Psychology from FSU but who face obstacles to completing the degree due to distance and/or other scheduling conflicts”. The online degree option allows students to complete their psychology degree by completing junior and senior level courses online. This important access to academic opportunities in an online format helps to fulfill an important mission of the University of North Carolina System to provide educational access to a wide range of students. Applying psychology and media in all forms, ranging from electronic media, traditional film, television, radio, and diverse digital media, in order to positively affect human behavior. Forensic Psychology – This concentration offers students the specialized skills required to meet the demand for forensic psychology evaluations and trial consultation. Health Psychology – This concentration readies students to understand current research and integrate knowledge from the social sciences and behavioral medicine into a broad conceptual model of health and health systems. Neuropsychology – This concentration prepares you for internship and postdoctoral training in clinical neuropsychology. Parent-Infant Mental Health – This concentration prepares clinical psychologists to understand and integrate current research and knowledge from the social sciences and behavioral medicine to enhance the quality of life for parents and their young children. Violence Prevention and Control – This concentration allows you to focus on the cause, assessment, intervention, and prevention of anger and violence-related disorders and conditions. Florida Technical University is home to a one of a kind technologically advanced e-learning system that allows students to complete their coursework at your convenience. Each student has the opportunity to build his or her college program around his or her schedule, from anywhere that has Internet access. Psychology majors also have the benefit of direct communication with classmates as all online courses are intentionally designed to increase student-to-student interaction as well as interactions with faculty members. Florida International University (FIU) offers students a wide range of both graduate and undergraduate degrees. The Psychology program offers a Master of Science degree with a specialization in Behavior Analysis, Counseling Psychology, Developmental Science, Industrial-Organizational Psychology and Legal Psychology. FIU was ranked among the top “100 Best Values in Public Colleges” according to Kiplinger’s Personal Finance magazine. US New and World Report ranked the psychology program 191st in the United States and recognized FIU as a “best buy” in higher education, ranking students among the least indebted college students in the nation. Florida State University is a space-grant and sea-grant public research university that is ranked as a research university with very high research activity as determined by the Carnegie Foundation. FSU was ranked #7 in Florida by accreditedonlinecolleges.org, a site that evaluates the best and least expensive online colleges and universities. The psychology program places a strong focus on the application of science and the scientific method to psychological principles. The program brings in acclaimed scholars and researchers. Student’s benefit strongly from these faculty members and their research projects. Fort Hays State University (FHSU) is a public, co-educational university and is the fourth largest of the six state universities governed by the Kansas Board of Regents, (based off enrollment numbers). The psychology department is an excellent place for students who are interested in how the mind works, who frequently wonder why people do what they do and who love to work with people. Some students enrolled in this program will pursue a career in counseling, research or education, while others may wish to pursue a career in business or another related field. Grand Canyon University (GCU) if based in Phoenix, Arizona but offers classes online to students in many undergraduate and graduate fields of study. The school is a for-profit, Christian based school established in 1949. The psychology program offers at GCU is extensive covering a variety of specialties and focus areas. With classes starting each month the faculty places a strong focus on allowing students the flexibility they need to earn the degree they desire. Differentiate and critically analyze biological, psychological, social, cultural, and contextual constructs that provide an understanding of human behavior within a global world view, and communicate this knowledge effectively. Compare and contrast theoretical assumptions in psychology and related disciplines. Use computer technology, as well as quantitative and scientific reasoning, to function as informed consumers of behavioral science research. Analyze human behavior using theories and concepts that focus on both individual dynamics and group and system dynamics. Apply ethical principles that guide and inform the conduct of research and clinical practice. Apply psychology concepts, principles, skills and methods. On-campus courses – Courses typically meet once a week in the evenings on the Harvard campus. Some courses have separate, smaller section meetings, and the days and times of those are also listed in the descriptions. Online video courses – The majority of the online courses feature lecture videos and online course materials. Some of these courses are offered only online. However, some courses may meet weekly on campus with an online option. Web-conference courses – This type of course has students meet weekly in a virtual classroom using web-conferencing software. Hybrid courses – The hybrid option courses combine online and on-campus study. Students complete the majority of the course online via video or web conference, and then attend one intensive weekend class on campus. Active learning simulations – These two-credit courses build upon the information and skills gained in prerequisite coursework, allowing them to investigate topics over a weekend in an intensive simulation on campus. To provide students with the basic skills needed for an entry-level psychology position or for continued professional development, such as graduate study. The graduate program places a stronger emphasis on the research aspects of the field. This online program is offered in an accelerated, interactive format that allows students to progress at their own pace. The majority of classes span five weeks for undergraduate courses and six weeks for graduate courses. Indiana University – Purdue University Fort Wayne (IPFW) is a cooperatively managed regional campus comprised of two Indiana public university systems; Indiana University and Purdue University system. The core curriculum in the psychology major includes courses in the basic areas of psychology including developmental psychology, social and personality psychology, abnormal psychology, experimental psychology, cognitive psychology, and statistics and research methods. In addition, students can choose specialized classes such as adolescent and adult development, death and dying, cross-cultural psychology, clinical psychology, psychology of women, gender development, and many others. Graduate training in Psychology at Kaplan University offers students the exciting opportunity to combine the interdisciplinary, academic practice of psychology with innovative, modern applications of the trade. Students will focus on the mechanisms that effect the individual human experience and behavior, as well as core knowledge, theories, and research in the field. There are four areas of specialization-general psychology, addictions, applied behavioral analysis, or industrial/organizational psychology, as well as a separate program in Educational Psychology. The Bachelor of Science in Psychology is also offered with four emphasis areas, including: child development, applied behavior analysis, industrial/organizational psychology, or substance abuse. Keiser University’s fully online Bachelor of Arts in Psychology Degree Program is designed to train psychology graduates for graduate level training in a variety of disciplines along or immediate entrance into the work force in a range of related fields. The BA program is a interdisciplinary program that introduces students to the general study of field of psychology, as well as many of the sub-fields found within the field of psychology. Liberty University (LU) is a Christian university founded in the teachings of the Baptist Church. LU has over 90,000 students enrolled on campus and online throughout the world. With counseling and pastoral degrees focused on psychological principles, students in both the College of Arts and Sciences and the College of Seminary learn the theoretical framework and history of counseling and psychology. The online Bachelor of Science in Psychology Degree Program approaches the field as the exciting study of behavior, the mind and factors that influence one or all. The Psychology Major at Mercy offers over 50 carefully designed psychology courses, which allows students to have exposure to a wide range of areas within the field. Students have the opportunity to experience hands-on training and practical learning in a variety of Internships and Cooperative Education (COOP) placements in a number of human service agencies. The Psychology Department has various opportunities for students to participate in actual research including those offered through the RIMI (Research Infrastructure in Minority Institutions) and COR grants (Career Opportunities in Research). These are federally funded research programs that offer qualified students the academic and/or financial support to pursue graduate studies. Marist College is a private liberal arts college established in 1905 by the Marist Brothers. In 2006, Forbes and The Princeton Review ranked Marist among the 25 most connected campuses in the country. http://www.forbes.com/colleges/marist-college/ The student outcome for the psychology program include demonstrating familiarity with the major psychological concepts, understanding and applying research methods, critical and creative thinking skills, understanding the implications sand applications of psychological principles, demonstrating necessary ethical codes, technological competence, effective communication skills, understanding and respecting diversity, developing personal insight into psychological processes and being able to implement psychological knowledge in a variety of settings. The Massachusetts School of Professional Psychology (MSPP) is home to a wide range of nationally recognized undergraduate and graduate Psychology Programs. As the trend towards online learning grows, MSPP has started to offer some of its nationally ranked psychology programs in online and blended learning formats. Currently students can choose from blended programs leading to a Master of Arts in Organizational Psychology or a Doctor of Psychology in Leadership Psychology or fully online programs that lead to a Master of Arts in Organizational Psychology or Master of Arts Applied Psychology in Higher Education Student Personnel Administration. These distance-learning programs adhere to the same high academic standards as the traditional graduate programs, but offer greater flexibility for students who are unable to attend classes on campus. Michigan State University (MSU) boasts a number of national and regional rankings and awards. Times Higher Education ranked the university in the top 100 Universities by Reputation 2013 list published. They also achieved the acclaim of being ranked 29th by US New and World Report among the countries public universities. With 17 Fulbright students in 2012-13, MSU ranks 14th among all research universities nationally and 7th among public institutions, according to the Chronicle of Higher Education. The Psychology Department offers students a strong curriculum and excellent faculty both online and in the classroom. The Bachelor of Science in Psychology Degree program is a 38 credit hour major that can be completed 100 percent online. In addition to the curricular requirements for the major, psychology students also must satisfy the general education requirements, the requirements for two 15-hour minors, and all relevant university graduation requirements. While most courses are offered online, there are some courses in the psychology department that are offered only on campus. Students who intend to complete their degree plan by taking online classes should plan their course selections with the help of their advisor to help the process go smoothly. The Department of Psychology at National University offers a wide range of online psychology degrees to meet the needs of many different kinds of psychology students. The degree plans are designed to help students gain an important understanding of the modern practice of psychology, as well as the vast range of theoretical and scientific underpinnings of human behavior. The Department supports both Bachelor and Master’s Level Training programs, including degrees in general Psychology, Sports Psychology, Organizational Behavior, Gerotology, Human Behavior and Performance Psychology. New York University (NYU) is located in New York City. The Master’s Level Psychology program is among the most prestigious in the country. US News and World Report ranked NYU’s psychology program #9 in Behavioral Neuroscience and #9 in Social Psychology in addition to their rank of #30 for all psychology programs overall. The Master Arts in General Psychology allows students to earn a specialization in Cognition, Forensic Psychology, Social and Consumer Psychology or Industrial/Organizational Psychology. The faculty of 35 esteemed full time members and many more adjust faculty creates an atmosphere of diversity and variety for all psychology graduate students. Northcentral University is among the few universities in the United States that offers fully accredited online psychology Degree’s at the Bachelor’s, Master’s and Doctoral Level. The Bachelor of Arts Degree Program prepares students for either entrance into graduate training at NCU or elsewhere, or for immediate employment. The Master of Arts in Psychology degree program provides students with the skills and knowledge of human behavior that will allow development of critical thinking, writing and research skills. The PhD in Psychology degree program was designed to meet the growing need of flexibility educational opportunities in the field. The curriculum in this program allows students to hone their critical thinking skills, expand their knowledge base in psychology so they may better evaluate individual, social, organization and global problems. The online Bachelor of Science in Psychology degree program is designed to be very similar to the on-campus program. Both programs cover a wide range of topics and skills that can be applied to a variety of careers ranging. Students work collaboratively online to investigate key psychological issues such as sensory function, learning, memory, human development, emotion, and motivation. The multidisciplinary program also incorporates related fields including biology, medicine, philosophy, religion, and history. The curriculum highlights important elements of theoretical perspectives, accomplishments in the field and future areas of psychological research and practice. Upon graduation, students are prepared to pursue graduate training or enter a profession where psychological training is a benefit. The online Bachelor of Science in Psychology Degree Program is designed to offer students training that will enhance their communication skills, knowledge of empirical science, gain better comprehension of self and others, gain understanding of ethical issues and become sensitive to the similarities and differences among individuals. Psychology majors have the opportunity to obtain a Certificate of Completion so they may gain certification in substance abuse and prevention counseling. The Bachelor of Science in Psychology and Addiction Studies Degree Program is available to students with optional concentrations in substance abuse counseling and prevention specialist that qualify students for certification by the Louisiana State Board. The Department of Family and Consumer Sciences offers an online Bachelor of Science degree in Family and Consumer Sciences with a concentration in Child Development and Family Relations. The fully accredited Master of Arts in Counseling Program at Northwestern is delivered online through The Family Institute at Northwestern University. The program is offered with the same rigorous curriculum and faculty as the nationally renowned on-campus Master of Arts in Counseling Program. This online degree offers students the clinical knowledge and skills required to provide high quality mental health services to those in need. Upon completion of this program graduates are ready to become helpful, self-reflective clinical mental health counselors in a wide range of settings. The Bachelor of Science in Psychology Degree Program offers students a solid framework in the knowledge base in the broad field of psychology. Students are encouraged to integrate and apply knowledge with flexibility in course offerings to guide students toward their career aspirations. The Psychology Major focuses on empirical research how to apply it to areas of human activities. All Psychology majors have the opportunity to customize their curriculum based upon their career goals and interests. All students complete core foundational courses that provide a solid understanding of psychology. This graduate degree program provides a rigorous academic program created for working professionals who may already he in the field or would like to start a career in professional counseling. Students have the chance to earn a graduate degree in counseling with specializations that can help them cater to their career goals. The program has been carefully designed to meet the academic needs of existing practitioners who seek advanced training, but who cannot commit the time to receive a traditional education without pausing their career. Demonstrate awareness and improvement of thinking and learning strategies. Identify effective interpersonal relationship skills. Summarize major counseling, developmental, and personality counseling theories. Apply psychological theories to life situations. The online Bachelor of Science in Psychology degree program is grounded in a list of general psychology courses, including courses in quantitative methods and experimental design. After those curriculum requirements have been met students can branch out and choose from a number of elective courses in wide range of topics. Psychology majors are encouraged to complete courses that outline the breadth of topics included in the study of psychology, specifically those students who plan to complete advanced training in psychology. In addition to the general psychology plan, the Department of Psychology offers sets of courses particularly relevant for students interested in clinical or industrial/organizational psychology. The online undergraduate Psychology Degrees offered by Oregon State University prepare students for careers in a range of professions, including human and social services, business, law enforcement graduate or law school and many more. This program is comprehensive and focuses on the empirical science of behavior and cognitions, from both a basic and applied point of view. Students in this program learn necessary skills in written and oral communication, scientific methodology, critical and creative thinking and problem solving skills. Students interested in pursuing an online psychology degree at Palo Alto have an interesting range of programs to school from. While there are some more traditional degree offerings like a Master of Arts in Counseling or a Master of Science in Psychology, there are some less traditional degree options as well. Students looking for options that stray from the run-of-the-mill psychology degree can opt to pursue a Bachelor of Science in Business Psychology or Psychology and Social Action. These degree plans prepare students for either graduate training or immediate employment in these new and exciting areas of psychology. Pace University is a private university in the New York metropolitan area with campuses in New York City and Westchester County. The Bachelor of Arts in Psychology covers a broad range of liberal arts and social science curriculum. The Bachelor of Arts in Applied Psychology and Human Relations prepares students for work in counseling and clinical psychology careers. Penn State University (PSU) is a public, state-related research university with campuses spread throughout the state of Pennsylvania. Throughout all of the campuses, PSU has an enrollment of almost 100,000 students. PSU is ranked as one of the top 10 clinical programs by the United States University Ranking and is regularly ranked in the top 10-20 clinical programs by the US News and World Report and the Gourman Rankings system. The psychology department is one of the largest programs in the entire university. The department has 45 tenure-track faculty members to help guide students through both study and research. Penn State World Campus is the online campus of The Pennsylvania State University. Launched in 1998, the World Campus grew out of the University’s rich and distinguished history as one of the pioneers in distance education (beginning in 1892 to reach farmers throughout Pennsylvania). The mission of the World Campus is to extend Penn State’s degree and certificate programs to students who cannot attend another Penn State campus because of geography or life factors. The Bachelor of Science in Psychology places a stronger emphasis on business courses through the Business Option. The Bachelor of Arts in Psychology provides a more broad, liberal arts education. It prepares students to develop a career as a mental health professional or social worker. The MPS in the Psychology of Leadership at Work is a great degree option for those who seek to “enhance their careers, support organizational goals and objectives, and apply strategies for leading, influencing, and motivating diverse work groups and individual employees”. The BS in Behavioral and Health Services at Philadelphia University prepares students for careers helping support individuals and communities by managing mental health issues, as well as other related issues that impact their ability to lead fulfilling lives. Students become trained in working with children, teens and adults in positions such as group home managers, behavioral health specialists, addiction counselors, and more. The flexible online format allows students to balance school with work, family and other important responsibilities. Post University’s Online Bachelor of Arts in Psychology Degree program marries the benefits of a “traditional New England University education” with the convenience and flexibility of online learning. Students reap the benefits of both regular contact with and feedback from professors, as well as the chance to learn from and interact with other busy working professionals. The highly interactive online classes are taught in eight-week modules, six times a year, making it easier for students to complete their online undergraduate in psychology degree in less time. The BA in Psychology Degree program is offered with two optional applied concentration tracks: Human Development, Education, and Health; and Organizational Studies. The online bachelor’s in psychology degree program also offers a minor in Forensic Psychology. Purdue University in West Lafayette is the flagship university of the six-campus Purdue University System. With almost 40,000 students it is one of the largest academic institutions in Indiana. Purdue was ranked #2 in Indiana by accreditedonlinecolleges.org, a site that evaluates the best and least expensive online colleges and universities. The psychology department offers degree specialization in Clinical Psychology, Cognitive Psychology, Developmental Psychology, Industrial-Organizational Psychology and Social Psychology. Regent University is a private coeducational interdenominational Christian university. The university was founded by the legendary Pat Robertson in 1978 as Christian Broadcasting Network University, and changed its name to Regent University in 1989. The university offers a comprehensive online education program in addition to its traditional on-campus programs. Students in the psychology department learn psychological theories and methodology from the perspective of a Christian worldview. The Psychology Department at Roosevelt University is one of the few accredited colleges or universities offering online degree options at the Bachelor’s, Master’s and Doctoral Level. Regardless of your academic level, you can find a specialized, nationally recognized degree plan that suits your academic and professional goals. At the Bachelor’s Level students can pursue a Bachelor of Arts in Psychology, a broad comprehensive generalist degree option. At the Master’s Level students can choose from a Master of Arts in Clinical Psychology or a Master of Arts in Industrial/Organizational Psychology, a booming area of Psychology. Those students who are seeking doctoral training can pursue an advanced degree (Doctor of Psychology or PsyD) in Clinical Psychology or Industrial/Organizational Psychology. Industrial-Organizational Psychology: This concentration focuses on applying psychology in the workplace to achieve maximum employee satisfaction and productivity. Explore personnel management, organizational behavior, performance assessment and employee development. Community Psychology: Learn how psychology is applied to the care of individuals and the general public in settings such as not-for-profit organizations and social service agencies. General Applied Psychology: Choose four electives that reflect your career interests from the above concentrations. The Bachelor of Arts in Psychology offered by the School of Psychology and Neuroscience at St Andrews is a world-renowned department with a rich history and cutting edge facilities. The faculty consists of 30 members all of whom are actively engaged in ongoing research, as research is a strong emphasis throughout the School. The School of Psychology and Neuroscience is regularly named in the top category in every research assessment exercise undertaken. This achievement has only been accomplished by three other departments of psychology: Cambridge, Oxford and York. The curriculum used by the department approaches psychology as the fundamental understanding of perception, cognition, motivation and behavior at various levels. Part-time student on campus: seven semesters taking six credits per semester. Full-time student on campus: four semesters taking nine to twelve credits per semester. Distance student: seven semesters taking six credits per semester. Students must apply and be accepted as either a distance student or an on-campus student. All students must complete a 750 clock-hour internship. Names after Saint John the Baptist, Saint John’s University (SJU) is a private, Roman Catholic, coeducational university. The University was founded by the Congregation of the Mission (the Vincentian Fathers) in 1870, and was originally located in Brooklyn, New York. In the 1950s, the school was relocated to its current location in the borough of Queens. SJU has campuses in Oakdale, Staten Island, Manhattan, Rome, Italy, and Paris. The Psychology Department provides students with extensive training in research methods and specialized areas of psychological study, including experimental, developmental, abnormal, personality and social psychology. The School of Arts and Sciences offers online psychology training at both the undergraduate and the graduate level. These programs introduce students to the broad spectrum of theories used in understanding human behavior. The undergraduate program offers an interdisciplinary education in the field, with the chance to cater the curriculum to meet your individual needs. The graduate program offers a criminal justice degree that trains graduates in the concentration area. The School of Psychology and Interdisciplinary Inquiry (PII) at Saybrook offers a fully online Doctoral Degree in Psychology. This degree program is designed for students who are planning or engaged in research, teaching, community development, consultation, conflict resolution and mediation, counseling, and many other career paths. The program was founded over 40 years ago, and since its inception Saybrook University has been a leader as “humanistic thought has moved from psychological theory to social activism, from academia to business practices, from individual counseling to educational and healthcare practice”. This online program is ideal for returning adult students who are interested in innovative research, scientific methods, and professional applications based upon extended descriptions of health and well being. When enrolled in the Bachelor of Arts in Psychology Degree Program, students learn how to study the nature and underlying causes of human experience and human behavior. Psychology majors start to understand the pathways and obstacles individuals experience that bar them from reaching their full potential. The curriculum focuses on psychology as a comprehensive academic discipline with an emphasis on enhancing and deepening the lives of others. 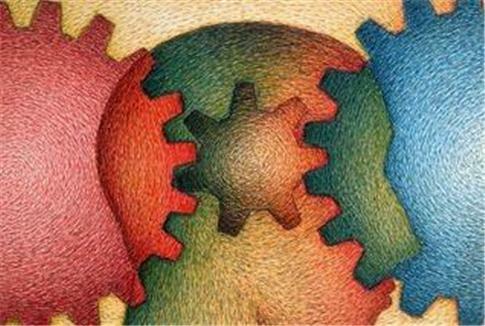 The psychology major includes traditional perspectives in psychology including topics such as Behaviorist, Psychoanalytic, Social, Biological, Experimental, Developmental and Cognitive principles; as well as the less traditional approaches such as Humanistic, Transpersonal and Eco- Psychological approaches. Students work closely with their advisors when choosing classes to find the best curriculum plan based on the needs of the individual. Psychology majors are encouraged to participate in internships, conduct research, and to present that research at conferences. Southern New Hampshire University (SNHU) is proud to offer over a hundred top-notch, fully accredited online undergraduate and graduate degree programs. SNHU was the only university to make Fast Company’s 2012 list of the World’s 50 Most Innovative Companies, which included such companies as Apple, Google, HBO and LinkedIn. The various online graduate degree programs have earned GetEducated.com Best Buy and Best of Business – Best Online Degree and Best MBA awards. Students interested in a psychology degree have both undergraduate and graduate options as well as optional concentration areas. Texas A & M at College Station is the flagship of the Texas A & M University System. It is the fourth largest university in the country and is designated as a land, sea, and space grant institution. The university is ranked in the top 20 American research institutes in the United States. The Department of Psychology offers degrees with specializations in several areas. Focus in areas like Behavioral and Cellular Neuroscience, Clinical Psychology, Cognitive Psychology, Developmental Psychology, Industrial/ Organizational Psychology and Social Psychology allow students to determine the direction of the degree. Tiffin University offers online psychology programs at both the undergraduate and the graduate levels. The Bachelor of Arts in Psychology is offered as a general degree or with an optional concentration in Applied-Human Services. The fully online Master of Science in Psychology degree offers students the chance to gain an interdisciplinary, graduate-level education in the areas of psychology such as Developmental Psychology, Social Psychology, Cognitive Psychology, and Neuropsychology. Another option in this field is to work towards an MS in Criminal Justice with a concentration in Forensic Psychology. This prepares students for careers in the exciting field of forensic psychology. Touro University is among the few schools offering an online psychology degree at the Bachelor’s, Master’s and Doctoral Level. The Bachelor of Arts in Psychology Degree Program is designed for working professionals who want to gain a better understanding of human behavior and work towards a holistic approach to mental health and well being with well planned treatment options. The curriculum aligns with the APA guidelines and goals for undergraduate learning outcomes and trains students in valuable areas such as learning psychology, developmental psychology, experimental psychology, social psychology and abnormal psychology. The Master of Arts in Psychology Degree program was created so students could build upon their knowledge and skills in psychology, to become prepared for a range of professions and contexts. The curriculum covers important topics such as research methods, cognitive psychology, social psychology, personality, learning theory and ethical practice in psychology. A support system dedicated to student success at the doctoral level. The Bachelor of Arts in Psychology Degree program helps interested students better understand people, how they think and act, and the interplay between people. Psychology majors learn the various conceptual theories and research methods that are the foundation of psychology as a science. They will also learn how to improve themselves, understand others, and work with others to improve their overall well being. Upon graduation, students are prepared for graduate school, employment, their community, their church, and their family life. Students are encouraged to investigate and evaluate their values, expand their interests, and uncover their “God-given gifts and abilities”. Students in the program also have the option of pursuing the Counseling Psychology Emphasis (CPE), which was developed for Psychology Majors who plan opt for courses that will prepare them for further training in the helping professions. Psychology majors have two options for their course of study. The first is a 36-hour major with an 18 hour minor. The second is a 54-hour major with no minor. The 36 hour major offers students access to courses from three major areas of psychology: natural science, social science and applied psychology. The 54-hour degree plan is a more structured plan, which emphasizes the foundational areas of psychology and empirical scientific investigation. The University of Alabama in Huntsville (UA-Huntsville) is a state-supported, public, coeducational research university. The psychology department is considered to be “student centered” and focuses on the specific needs, career goals and strengths of each student. The curriculum covers such areas as clinical psychology, experimental psychology, social psychology, developmental psychology, cognitive psychology, perceptual psychology, biological psychology, engineering psychology, industrial psychology and animal psychology. The University of Central Florida (UCF) is a member of the State University System of Florida. With a total enrollment of over 60,000 students, on campus and online, UCF is the second largest university in the country. With a strong foundation and rich history, students at UCF have the opportunity to learn in the classroom, online and a combination of the two. The psychology department offers students in the Master’s Program the opportunity to delve into many areas of psychology. Many of the high caliber faculty members teach the same courses both on campus and online. The fully online Master’s Degree in Foundations in Behavior Analysis is designed to on provide motivated and qualified students with the framework of applied behavior analysis. The field of Behavior Analysis involves the application of basic principles of behavioral theory to investigate human behavior with the goal of developing and implementing plans to institute change in anti-social or negative behaviors. Graduates with training in this field are qualified to work in a variety of educational and clinical settings to help individuals with behavior and learning problems. The curriculum covers the core competencies of applied behavior analysis as published by the Behavior Analyst Certification Board, including behavioral assessment, functional behavior assessment/analysis, intervention for academic & behavior problems, data-based decision making & single-case design research methodology, and ethical standards for practice. The University of Denver (DU), a coeducational, four-year university, is the oldest private university in the Rocky Mountain Region of the United States. For students with an active lifestyle it is worthwhile to note that in 2006, Men’s Fitness magazine ranked DU in the top-25 fittest colleges in America. This is largely because the university actively promotes a healthy lifestyle for its students. The Coors Fitness Center has top-of-the-line equipment, personal trainers, nutritionists and fitness classes. The University of Florida (UF) is a public land grant, sea-grant, and space-grant research university. It is a senior member of the State University System of Florida and is an elected member of the Association of American Universities (AAU), an organization composed of sixty-one leading American and Canadian research universities. The Carnegie Foundation for the Advancement of Teaching awarded UF the rare distinction of being a Research University with Very High Research. The psychology curriculum emphasizes the principles and applications of psychological knowledge, both as a natural science and as a social science. The Bachelor’s Degree options in Psychology qualify graduates to pursue immediate employment in a range of human services fields or pursue graduate training in a number of areas. The University of Illinois at Chicago (UIC) is a state-funded public research. It was the second campus established under the University of Illinois system, and is the largest university in the Chicago area, with approximately 28,000 students currently enrolled. The Department of Psychology at UIC is rated in the top 50 in the country in research productivity. The faculty participates in a broad spectrum of research, supervision, and course offerings. Students have the opportunity to focus on varying areas of psychology, such as Behavioral Neuroscience, Clinical Psychology, Cognitive Psychology, Community and Prevention Research, and Social-Personality Psychology. University of Illinois (U of I) at Urbana-Champaign is a public research-intensive university and is the flagship campus of the University of Illinois System. U of I is a member of the Association of American Universities and is designated as a Research University with very high research activities according to the Carnegie Foundation. The Psychology Department is a proud member of the Academy of Psychological Clinical Science and is a founding member of the Psychological Clinical Science Accreditation System (PCSAS). In addition to the general ranking of 9th in psychology, US News and World Report ranked the Cognitive Psychology program #3. The Master’s of Education in Educational Psychology offers specialization in African American Studies and Quantitative Literacy. The Master of Science in Educational Psychology program offers a degree specialization in African American Studies. The University of La Verne is a private not-for-profit university located about 35 miles east of Los Angeles. The small, intimate campus allows students a more personalized feel with nearby access to a major city. In addition to the traditional Bachelor of Arts and Bachelor of Science programs, the University of La Verne offers accelerated undergraduate studies that can lead to a bachelor’s degree in less than four years. This program, called the Campus Accelerated Program for Adults (CAPA), offers weekend, accelerated evening and online classes to committed adult students who want to earn their degree quickly. Apply major concepts, theoretical perspectives, empirical findings, and historical trends in psychology to prepare for graduate study or careers in which psychological training is relevant. Apply basic knowledge of research methodology, statistics, measurement, guidelines, ethical standards, laws, and regulations to design, participate in, and evaluate research in a variety of contexts. Apply knowledge of human behavior to inform personal growth, communicate effectively, solve problems, make decisions, and interact with individuals, communities, and organizations. Use critical and creative thinking, skeptical inquiry, and (where possible) appropriate technology and the scientific approach to solve problems related to current and emerging trends within the domains of psychology. Value diversity and different perspectives, tolerate ambiguity, and act ethically to communicate appropriately with various sociocultural and international populations. Access, interpret, and apply gerontological research findings related to biopsychosocial processes in the context of aging. Analyze the impact of sociological and cultural factors, such as race, ethnicity, gender, and social class, on the aging process. Analyze the development of policies related to aging and their impact on services and organizations for older adults, both locally and nationally. Apply interdisciplinary gerontological knowledge to work with older adults in a chosen area of practice. Practice within the legal and ethical standards of the aging services field. The UMass Online Department has a variety of offerings for students interested in training in the fields of counseling and psychology. There are both online Bachelor’s Degree Options as well as Online Master’s Degree Options. Students pursuing a Bachelor’s Degree in Psychology can choose from Applied Psychology, Children’s Learning and Development of a Generalist Psychology Degree. At the Master’s Level, students can choose to study School Counseling, Family Therapy, Rehabilitation Counseling or Autism Studies. All of these online degree options train students with a strong curriculum and hand on experiential learning opportunities. The University of Michigan (UM) is a public research university with high research activity. UM was ranked #2 in Michigan by accreditedonlinecolleges.org, a comprehensive site that evaluates online degree programs. The Department of Psychology is one of the largest programs in the university. The graduate program offers six focuses including Biopsychology, Clinical Science, Cognition & Cognitive Neuroscience, Developmental Psychology, Personality & Social Contexts and Social Psychology. There are also three joint programs of study including Social Work and Psychology, Education and Psychology as well as Women’s Studies and Psychology. The online Bachelor’s Degree offered by the Psychology Department is a Bachelor of Applied Science in Psychology. This degree can be completed completely online from anywhere in the world. The online psychology program offers students the benefits of the same rigorous curriculum of the traditional on-campus psychology major. Psychology majors are given a strong foundation in the methods, historical developmental and various sub-fields found within the discipline of psychology. Graduates of this program are adequately prepared for graduate training in psychology or for entrance into positions, which may require the use of research or human service delivery skills. The University of Minnesota (U of M) in Minneapolis is a public research university located just five miles from its’ sister school, U of M Saint Paul. The Psychology Department has received commendation from a variety of educational ranking systems. US New and World Report has named the psychology department 9th in the nation, but also ranked the Industrial and Organizational Psychology and Developmental Psychology programs as 1st in the entire country. The MA in Education Psychology offers specialization in Counseling and Student Personnel Psychology, Psychological Foundations, Quantitative Methods in Education: Evaluation, Quantitative Methods in Education: Measurement, Quantitative Methods in Education: Statistics, Quantitative Methods in Education: Statistics Education, School Psychology and Special Education. The Master’s of Arts program offers specialization in Biological Psychopathology, Clinical Science & Psychopathology Research, Cognitive and Brain Sciences, Counseling Psychology, Industrial/Organizational Psychology, Personality, Individual Differences, & Behavior Genetics, Quantitative/Psychometric Methods and Social Psychology. The University of Nebraska-Lincoln (UNL) is a public research university. It is the state’s oldest and largest university and the flagship university of the University of Nebraska system. The Psychology Department offers a Bachelor of Arts in Psychology degree, which is appropriate for students seeking a broad, liberal arts education. The Bachelor of Science (BS) degree and is a more rigorous, challenging program of study, which includes greater focus on mathematical concepts (such as statistics) and research methodologies. The BS degree is a better fit for students who plan to attend a graduate program in psychology or a related field. Students with an interest in pursuing a career working with individuals who are battling addiction can receive training at the University of South Dakota at both the undergraduate and the graduate level. The Online Bachelor’s Degree in Addiction Studies (ADS) integrates an academic foundation with experiential learning in counseling and prevention and focuses on science-based addiction education. Graduates of this program may qualify for the standards of state, national and international certification for professional prevention specialists and treatment counselors/providers. The Online Master of Arts in Addiction Studies Degree Program prepares substance abuse treatment and prevention specialists and counseling professionals for positions in this growing field. Students in this program are training to address current and future addiction/prevention challenges facing our society. Upon graduation from this program students are eligible to achieve the highest level of addiction/prevention credentialing through the South Dakota Board of Addiction and Prevention Professionals. The University of South Florida (USF) is a public research university and a member of the State University System of Florida. USF was ranked #6 in Florida by accreditedonlinecolleges.org, a site that evaluates the best and least expensive online accredited colleges and universities. The Department of Psychology is a cornerstone of the College of Arts and Sciences. The graduate course work in psychology has been broken into three specializations: Clinical Psychology, CNS (Cognition, Neuroscience, and Social Psychology), and Industrial Organizational Psychology. Students can choose coursework that will help them achieve their career goals. The University of Texas of the Permian Basin, a satellite campus of the prestigious UT System now offers an online Bachelor of Arts in Psychology degree. This fully accredited program is ranked among the very best Texas public universities and in the top 50 nationwide for Best Online Bachelor’s Degree Programs by US News & World Report. All courses in the program are offered online and each runs for approximately seven-and-a-half weeks. With this rigorous program students can earn their BA in as little as 12 months. The School of Organizational Leadership at the University of the Rockies offers several options for graduate studies in the field of Psychology. The School of Professional Psychology works towards the goal of preparing future counselors and psychologists who have greater depth and have the skills necessary to make deeper connections with clients. The programs are offered fully online which allows students the chance to earn a fully accredited graduate degree while also working and fulfilling family and other important obligations. UIW Online offers a unique blend of online Psychology Degrees. Students can pursue a Bachelor’s or Master’s Level Online Psychology Degree, each one with a unique curricular twist. The Online Bachelor of Science degree in Psychology is supported by the Division of Extended Academic Programs. Psychology majors gather general knowledge and become prepared to pursue advanced degrees in psychology or related disciplines. The Online Master of Science in Psychology with a concentration Educational Psychology offers students training in psychology that will help them progress from student to scientist-practitioners. This MS degree program offers foundational training in the development of important abilities that ready graduates for a variety of professional positions or to advance to doctoral level training in psychology or other related disciplines. The Master of Arts in Administration with a concentration in Industrial/Organizational Psychology teaches interested students the “science of human behavior as it relates to the well-being of people in organizations”. Graduates of this program are qualified to apply relevant principles and research methodologies to the workplace with the overall goal of increasing productivity, health and the quality of work life. The University of Wisconsin (UW-Madison) at Madison is a public research university established in 1848. UW-Madison is the flagship university in the University of Wisconsin System. The university is ranked #1 in Wisconsin by accreditedonlinecolleges.org, a site that evaluates accredited online colleges and universities. With a strong psychology department, US New and World Report ranked the department 9th in the country. Additionally, the Behavioral Neuroscience program was ranked 9th in the nation and the Developmental Psychology program was ranked 5th nationally. The University of Wisconsin-Superior (UW-Superior) is a public university established in 1893 under its original name, The Superior Normal School. The curriculum created by the Psychology Department includes study in areas including emotions, social behavior, the brain, cognitive processes, and abnormal behavior. Upon graduation, students leaving this program will be prepared to either enter the workforce or begin advanced study in psychology and related disciplines within the context of a public liberal arts education. The goal of the Bachelor of Science in Psychology Degree Program is to “enable a student to interpret psychological theory utilizing scientific methodology in order to apply that knowledge to describe, analyze, predict, and shape human behavior”. The Psychology Major offers students the chance to learn about the history and development of human behavior and mental processes, as well as the factors that impact both. Graduates of this program may seek employment or graduate training in a wide variety of fields, including human services, business, law, education, communications and health. The program consists of 36 credit hours, with a minimum of 18 credits in upper division coursework and fulfillment of all general education core requirements. With over 400 students enrolled in programs throughout the Psychology Department, it is one of the largest at Utah State. The curriculum in the BA program are made up of a varied selection of psychology courses that offer a foundation for careers in Psychology, Business, Education, Law, Medicine, and many other areas. The diverse faculty work to engage students in a range of research, investigation, and skill-building activities both inside and outside the classroom. Psychology majors can also become active in organizations like the Student Advocates of Behavior Science (SABS), the International Honor Society in Psychology (Psi Chi), and the Psychology Club, to help build possibilities for future careers. Walden University is a private, for-profit university and is part of a network of an extensive online campus as well as campuses across the country. The psychology program is designed to cater to individuals who need flexibility to earn their degree. The university has secured financing for this program, which is available through grants, scholarships, loans (federal and private) and institutional financing plans. The Master’s Level Psychology Program can be completed in as little as 21 months to save students time and money. The Master of Science degree can be earned in several specializations and students can also choose from a host of focus areas including Applied Psychology, Child and Adolescent Development, Crisis Management and Response, Educational Psychology, General Psychology, Health Psychology, Leadership Development and Coaching, Organizational Psychology, Psychology of Culture, Psychology, Public Administration, and Social Change, Social Psychology and Terrorism and Security. Washington State University (WSU) is a public research university and is the state’s original and largest land-grant university. The Carnegie Foundation for the Advancement of Teaching named WSU as one of 96 public and private universities in America with “very high research activity.” Some of the suggested areas of study offered by the undergraduate psychology department are Biological Psychology, Neuroscience, Child Development, Clinical Neuropsychology, Clinical Psychology, Human Factors, Industrial / Organizational Psychology, Learning and Cognition, Sensation and Perception and Social Psychology. The fully online Bachelor of Arts in Psychology Degree program offered by Westfield State University offers preparation for entry-level positions in psychological science positions as well as a number of other professions. Students also earn the training and skills they will need to pursue graduate training in psychology or closely related fields. The strong curriculum covers many of the specialty fields that make up the broader discipline of Psychology. Providing quality academic training that is responsive to the needs of practicing Vocational Rehabilitation (VR) Counselors from the NC Department of Vocational Rehabilitation Services (NCDVRS), the NC Division of Services for the Blind (NCDSB), and other community rehabilitation programs. Presenting an academic curriculum that meets or exceeds standards of the Council on Rehabilitation Education (CORE), our accrediting body. Providing internship experiences in state/federal programs, community-based non-profit programs, and private-for-profit agencies.